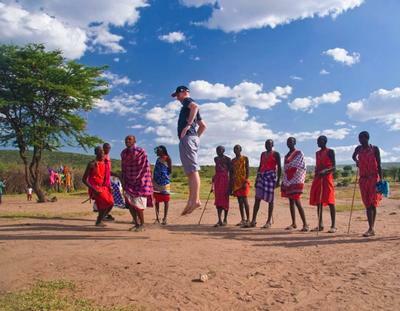 In the mood to go Maasai? Kenya is at the top of everyone’s safari hit list, and the Masai Mara is hard to beat especially when it comes to the annual migration. Admittedly, this is when most people will choose to travel to the wildlife capital's best-loved game reserve, but there’s more than one reason to visit, and as a year-round destination you can expect a sensational safari at any point in the calendar. Travel out of season and you’ll save money on your return flight, plus benefit from lower priced tour costs. And, while the Mara is one of Africa’s most sought after safari destinations, you’ll also find fewer 4X4s in the reserve. This factor can really add to the quality of the game viewing experience, as off roading is not permitted in East Africa. Travel from March through May, and in November. Not all of the animals migrate in the Mara so you can still expect great Big Five game viewing throughout the year – leopards, cheetahs, lions, hyena’s and bat eared foxes are regularly sighted in the reserve. December to March is a great time to go as this is outside of the rainy season when some of the roads might leave your vehicle trudging in the mud. Meet & greet the Masai Tribe. Any trip to the Mara will leave you an understanding of this untouched civilization, the tribe sharing their culture with travellers the world over. Traditional dancing, village visits and a chance to marvel at the local handicrafts make this a once in a lifetime experience. From October through April, the Mara is a birders paradise. More than 400 species have been recorded to date, ostriches, raptors, long crested eagles and the stunning lilac breasted roller featuring on the list. There’s more than one way to safari in the Mara and an optional balloon flight over the plains is a great way to get a birds eye view of the stunning landscape and its residents. Usually an hour in length, the ride kicks off in the early hours allowing you to spy the magnificent sunrise while the wildlife stir beneath you. Ending with a champagne breakfast it's the ultimate way to see the reserve in all its glory. Yes you can travel independently, but head off with a dedicated safari guide and even a slight flicker in the bush might turn up a magical safari moment or two – especially when it comes to the more elusive leopard and cheetah. Experienced guides have a keen eye for spotting the reserve's animals and a great deal of knowledge to impart as you’re driving across the plains.